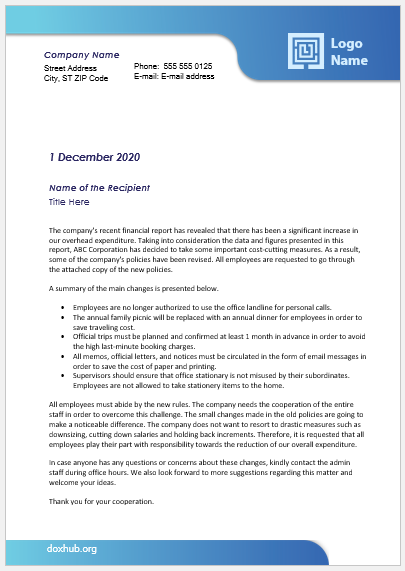 This letter is written by a company in which it addresses its client company and thank it for the support and continued collaboration and cooperation. 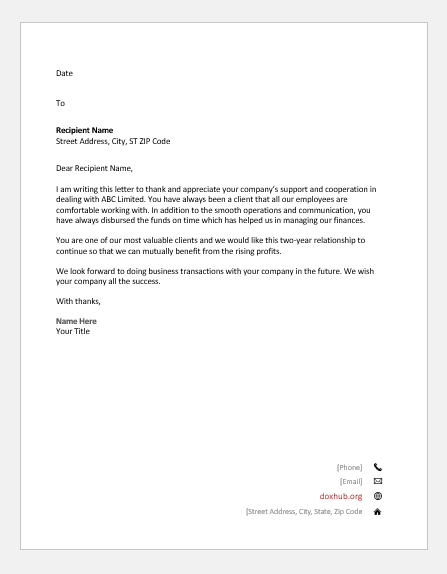 Such thank you letters play a vital role in building as well as maintaining a good relationship between a company and its client. 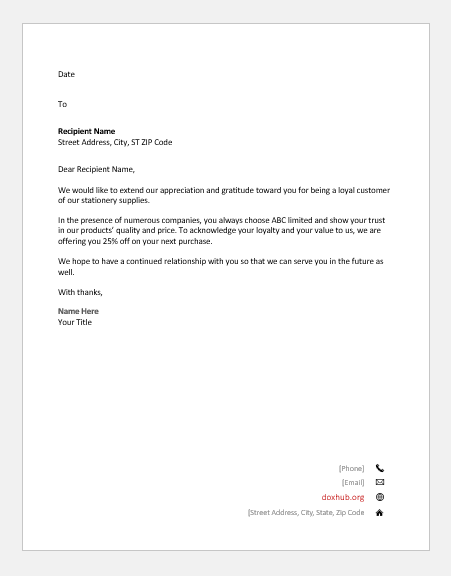 I am writing this letter to thank and appreciate your company’s support and cooperation in dealing with ABC Limited. You have always been a client that all our employees are comfortable working with. In addition to the smooth operations and communication, you have always disbursed the funds on time which has helped us in managing our finances. You are one of our most valuable clients and we would like this two-year relationship to continue so that we can mutually benefit from the rising profits. We look forward to do business transactions with your company in the future. We wish your company all the success. In this contemporary world, there are many competitors that have similar offerings which is why a company need to thank its client to choose it for the products, services or business projects or ventures. 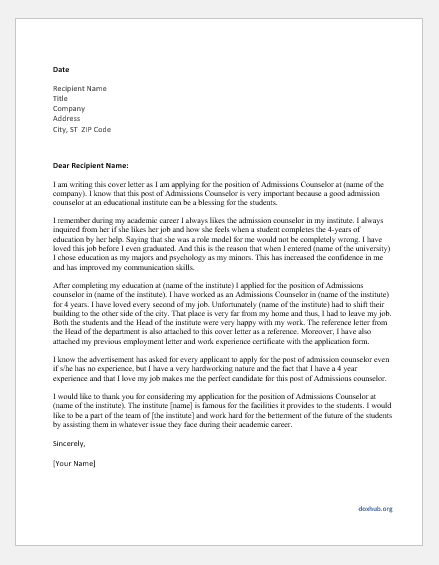 In addition, this letter can aid a company in maintaining a relationship with its client for the future business as well. 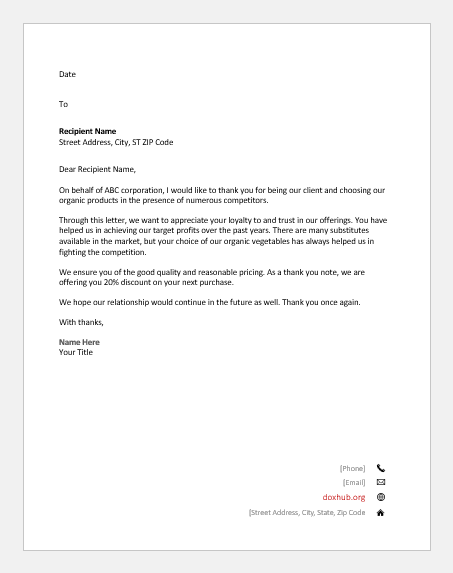 On behalf of ABC corporation, I would like to thank you for being our client and choosing our organic products in the presence of numerous competitors. Through this letter, we want to appreciate your loyalty to and trust in our offerings. You have helped us in achieving our target profits over the past years. There are many substitutes available in the market but your choice of our organic vegetables has always helped us in fighting the competition. We ensure you of the good quality and reasonable pricing. As a thank you note, we are offering you 20% discount on your next purchase. We hope our relationship would continue in the future as well. Thank you once again. 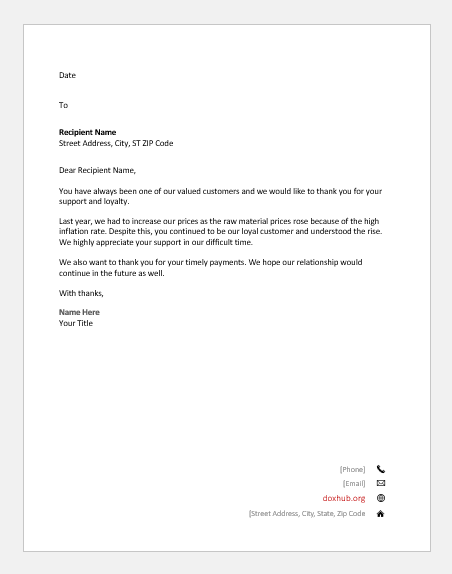 This letter is written to appreciate the customer for his/her support in terms of loyalty and cooperation as well as to build a long-term relationship with them. You have always been one of our valued customers and we would like to thank you for your support and loyalty. Last year, we had to increase our prices as the raw material prices rose because of the high inflation rate. Despite this, you continued to be our loyal customer and understood the rise. We highly appreciate your support in our difficult time. We also want to thank you for your timely payments. We hope our relationship would continue in the future as well. The two facts of today’s market are the availability of a wide range of substitutes and a limited pool of customers. The companies must build their relationship with their existing customers as the customers can easily switch to the competitor’s offerings at minimal cost. 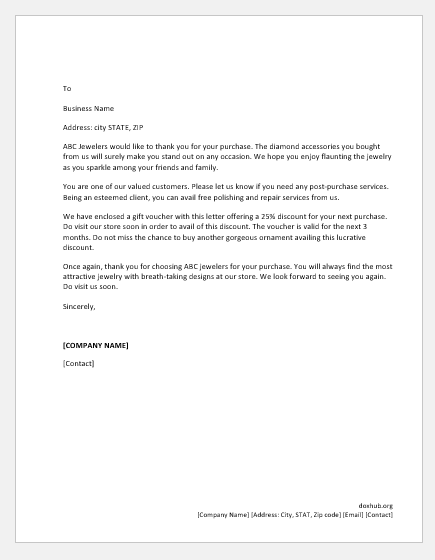 This type of letter is an effort by the company to maintain its chunk of the customer pool. We would like to extend our appreciation and gratitude toward you for being a loyal customer of our stationery supplies. In the presence of numerous companies, you always choose ABC limited and show your trust in our products’ quality and price. To acknowledge your loyalty and your value to us, we are offering you 25% off on your next purchase. We hope to have a continued relationship with you so that we can serve you in the future as well.